Other than a few cast iron cylinders here and there, the metal that contacts the coolant in powersports engines and cooling systems is mostly aluminum: cylinder heads, cylinder blocks, water pumps, and radiators. Aluminum is vulnerable to corrosion, and the corrosion inhibitors in antifreeze deteriorate over time. Most OEMs recommend replacing engine coolant every 2 years or 24,000 miles to prevent corrosion. The fresher the coolant the less corrosion will build up in the system, and the more efficiently the cooling system will function. Always drain the coolant with a cool engine. Remove the radiator cap in two stages. Allow any built up pressure to vent and then open the cap all the way and remove it. There is usually a drain bolt on the water pump. The drain bolt will have a sealing washer, and often the bolt will have a chrome finish. Use the service manual to identify the correct bolt. Remove the drain bolt and sealing washer and allow the coolant to drain into a suitable container. Install the coolant drain bolt with a new sealing washer. Tighten the drain bolt securely. Remove the siphon hose to drain the coolant out of the reserve tank. On some models the reserve tank may need to be removed. 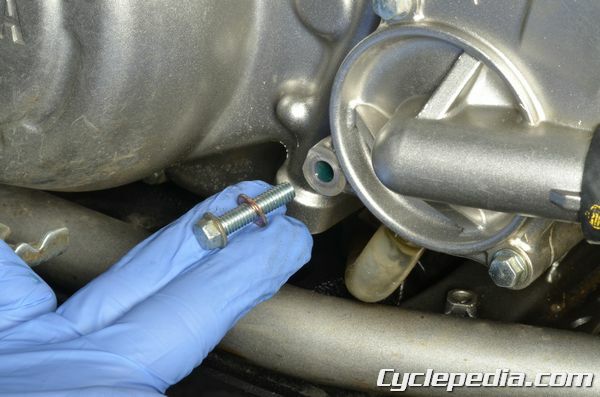 Other models may have additional drain bolts for cylinders or radiators, or may even require a coolant hose to be disconnected to fully drain the system. Consult the service manual for more information on the particular model. Measuring the volume of drained coolant and comparing this to the specification can give you an idea of how much coolant may remain in the system. There are three main types of antifreeze: ethylene glycol (EG), propylene glycol (PG) and organic acid technology (OAT/HOAT). These types should not be mixed under any circumstance. If the coolant level is low, and antifreeze of the correct type is unavailable, use distilled water to top off the level until the correct antifreeze can be acquired. Ethylene glycol (EG) is the most common and has been around for decades. Ethylene glycol has excellent antifreeze properties, but it is dangerously toxic and can be deadly if ingested by humans or animals. 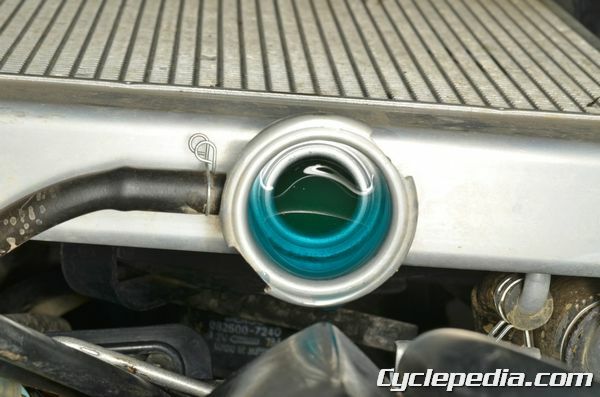 Treat EG coolant with care and do not leave it where children or animals may consume it. Propylene glycol (PG) engine coolants are much less toxic, and have better heat transfer properties. Engine Ice Hi-Performance Coolant ™ uses propylene glycol to exploit the increased heat transfer properties to reduce engine temperatures. 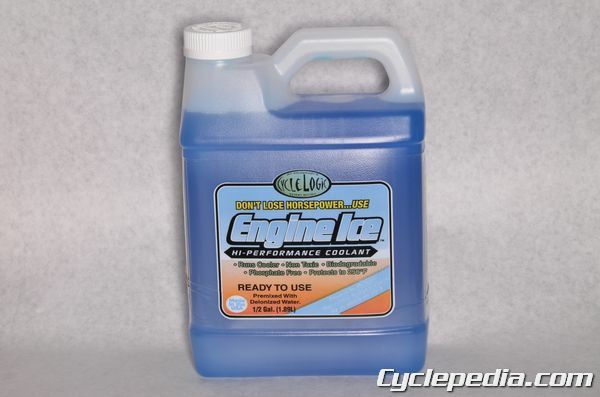 Using a product like Engine Ice and changing the coolant regularly will keep a cooling system operating at maximum efficiency. 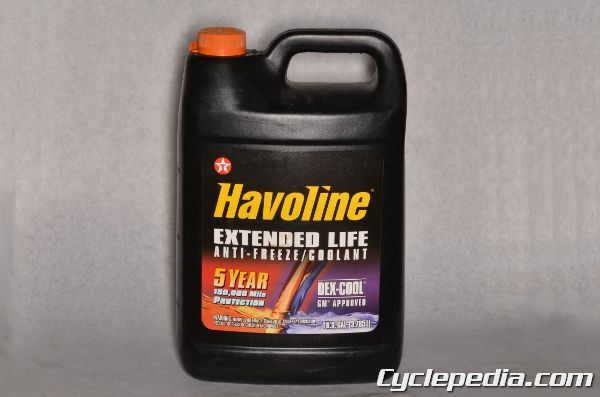 Organic acid technology (OAT) or hybrid organic acid technology (HOAT) antifreeze products like GM’s DEX-COOL® extended life antifreeze/coolant are designed for extended use without corrosion. Unfortunately these modern coolants do not always play well with the seals in older vehicles. These types of coolants should only be used with approval from the vehicle’s OEM. 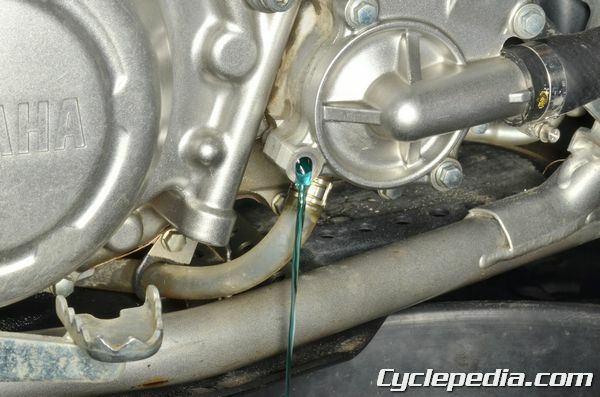 The coolant system should be flushed to avoid mixing if changing to a new coolant type. To flush the system use a coolant system flush solution or a 50/50 mix of distilled water and white distilled vinegar. Fill the system with the solution and warm up the engine for around ten minutes or follow the flush solution’s instructions. Do not allow the engine to overheat. Stop the engine and allow the cooling system to cool down. Drain the flush solution and run clean water through the system to clean out the flush solution and corrosion grime it has removed. If the antifreeze is a concentrate it will require mixing with water before filling. Only use distilled water to mix with antifreeze concentrate. 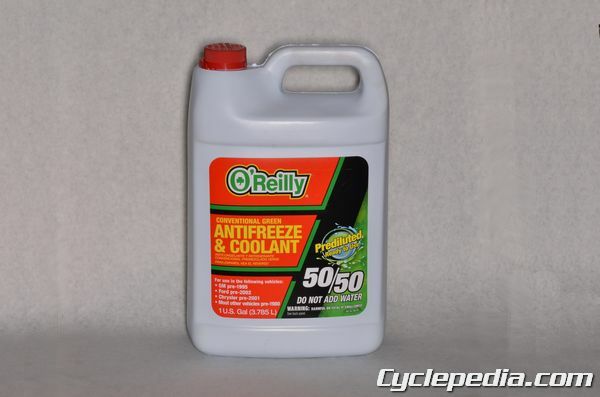 In most cases the antifreeze to water ratio is 50/50. In cases of extreme cold, the antifreeze concentrate can be increased up to 70% of the solution. If the coolant is pre-diluted it doesn’t require mixing with water before use. Slowly pour the new coolant into the radiator filler neck until it reaches the bottom of the neck. Fill the reserve tank to the FULL line. Consult the service manual for the particular vehicle to find if there are any bleed screws in the system to aid in air bleeding. With the radiator cap off, start the engine and let it run for several minutes. Blip the throttle and rev the engine a few times. This will purge any air out of the cooling system. Add coolant to the radiator and the reserve tank as needed. Check for coolant leaks. When the air bubbles stop coming up turn off the engine and make sure the coolant level is correct. 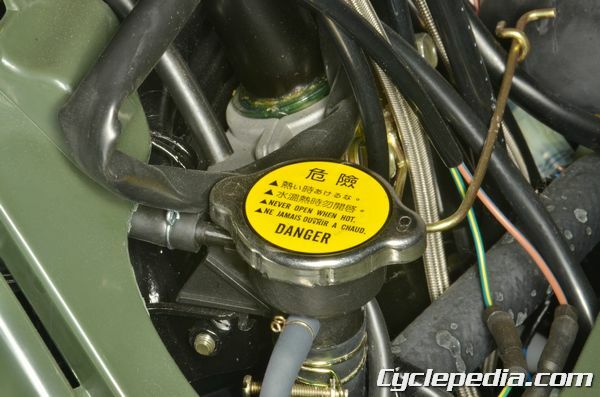 When the coolant level appears to be correct, install the radiator cap and start the engine. 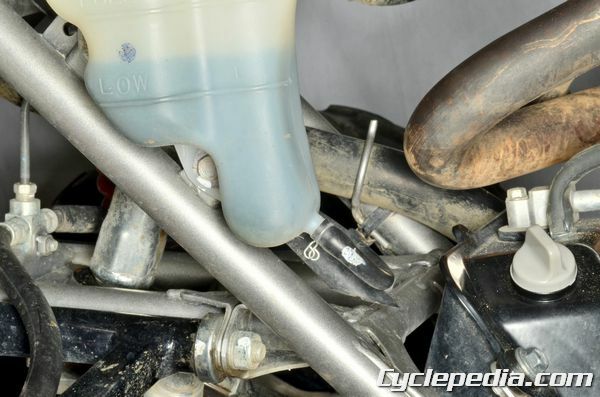 As the engine runs make sure the coolant system is cycling correctly. The radiator should get warm on both input and output sides. If a fan is equipped the fan should eventually cut on. The fan should cut off when the temperature has been reduced to the specified point. If the engine has been running for a few minutes and the radiator is not warming there may be a problem with the thermostat or air in the system. Stop the engine and allow it plenty of time to cool before doing a final coolant level check. Make sure all drain and bleed screws are tight.